Have you seen our Close Out clothing page? American Merchandise Liquidators: (For Exporters) Wholesale Liquidator of Salvage, Returns, Surplus And Discount Merchandise. Apparel, department store returns. With 20 years of experience in the liquidation business, American Merchandise Liquidators, Inc., is the leading business to business supplier of salvage and surplus inventory. Since their beginnings in 1992, they have bought and sold over 6,000 truckloads of quality merchandise at below wholesale prices. They are known nationwide as the go-to liquidator supplier for companies who need to quickly move millions of dollars of distressed and overstock inventory. A T.I.L. (Total Inventory Liquidation): they buy excess inventory, surplus, overstock, cancellations and closeouts from manufacturers and importers for any season, any time and in any quantity. They buy branded and unbranded apparel. 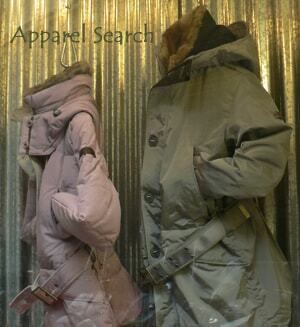 They buy men's women's, juniors and kids clothing and undergarments. They are looking for clean, brand new and first quality merchandise. They buy from 500 units and up. If you have any closeouts, cancellations, excess inventory or overstock items that you are looking to sell off, you can email, call or fax them your information. Phone 213-749-0379 fax number 213-749-0380. They sell to discount stores in the U.S. and Central America. Please send email to Til4sale@aol.com, Attn: Dee. Bermaha: fabric jobber. As a woven textile jobber since 1950 and a leading supplier of off goods at promotional prices to the apparel fabric industry, they offer experience and quality in servicing export and domestic users. Big 4 Fabrics Corp. : (New York) jobbers and wholesalers of fake fur fabrics and stretch textiles. Big 4 Fabrics is a primary source of Faux Fur fabrics since 1968. They are one of the largest suppliers of Fake Fur in the USA. They have a 50,000 square foot warehouse stocked with a million yards of Fun Fur. Their Monkey Fake Fur and Gorilla Faux Fur are used by window decorators and costume makers. Sherpa Faux Fur is very popular for pet beds. Faux Fur is also used by decorators and puppet makers. They have a huge variety of Printed Animal Furs. They also carry a large inventory of Printed Nylon Lycra, Solid Nylon Lycra, Cotton Lycra and Stretch Velvet. These fabrics are used by the dancewear, club wear, bathing suit and swimsuit industries. They also have a large supply of textiles for the export market. Brave Sales specialize in Corduroys, carrying a wide range of styles and colors in both first quality and merchantable seconds; no minimums; spot delivery. Closeout Corner: Founded by Joseph Feldman, a clothing and footwear liquidator, in 1955, Closeout Corner, located in South Plainfield, NJ, now has a presence on the World Wide Web. Closeout Corner is an industry leader in purchasing closeouts of men's, women's and children's apparel and footwear from retail stores, jobbers and manufacturers. natural, natural blends and synthetics in both knits and wovens. All of the fabrics they sell are from the excess inventories of Seventh Avenue Designers, Broadway manufacturers, fabric mills, converters, and importers. Their years of industry experience in the moderate and better fabric markets enable them to meet the needs of their users. The Fabric Stock Exchange represents companies from Massachusetts to California. All of the fabrics they offer are from top mills in the USA and abroad. Heikar Industries: They are a retail jobber of all types of fabrics. Especially woven prints. They seek container loads of real deals & and on a continuing basis. Jab Textiles inc: They are converters and jobbers of knitted fabric to the apparel industry. J. Catz Ltd. (New York) Textile jobbers and wholesalers of Denim & Lycra fabrics. Twin Textiles: (New York) jobbers and wholesalers of promotional fabrics and textiles. Wexler Textiles: (Canada) converts and stocks year round a wide range of regular imitation furs and pile fabrics and specializes in international distribution of these items. If you are a jobber, add your company. If you know any additional Jobber's contact us.